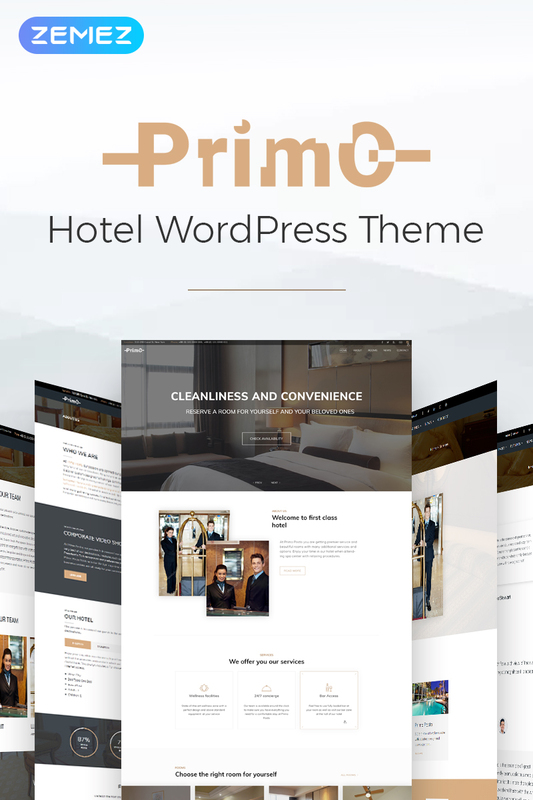 Primo – Hotel WordPress Theme is a flexible WordPress Theme for hotels. If you’re looking for a theme that enables you to showcase your facilities as well as provide an easy-to-use way to check availability and book rooms online, Primo is what you need. The theme is equipped with a large number of highly functional plugins, engaging widgets and easy to customize elements. It comes with a stunning drag and drop Elementor page builder, which main feature is there is no necessity for coding knowledge. 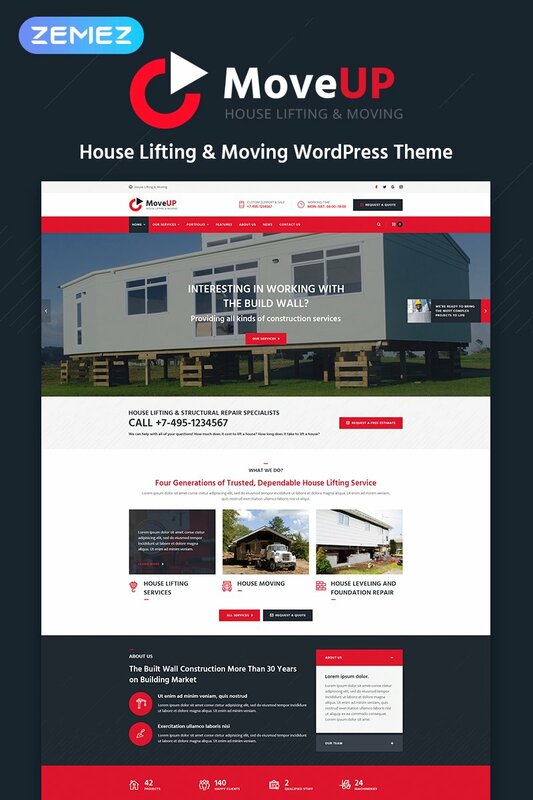 MoveUp – House Lifting & Moving WordPress Theme is a Premium solution for construction and house renovation website. This is a completely responsive theme, that is easily customizable. MoveUp WordPress Theme offers customizable portfolio designs and various page layouts. It also includes an easy-to-use and fast page builder. MoveUp adapts to every device, from smartphones and tablets to desktops. CRIBS – Interior Design WP Theme is a delightful premium WordPress theme for architecture and house design, suitable for talented and dedicated designers to showcase their work. It has a clean and minimalist approach that allows showcasing your talent and aesthetic taste within a portfolio of works in style, decors, stylish photos. It is an ideal WP template for interior or exterior designers, architects, architectural studios, and home décor firms. Choose from our 3 versions the one that will better meet your requirements. Consider a huge range of customization options as well. Villagio Property Rental WordPress Theme is a great solution if you want to rent out multiple accommodations and turn on instant bookings. The theme is suitable for different types of villas, guest houses, apartments, etc. Create a listing of your accommodations and enable live reservations with our built-in custom MotoPress Hotel Booking plugin. You may display all details of accommodations such as amenities, size, photos, bed types, capacity, descriptions, extra services, etc. HOME QUEST – Real Estate WordPress Theme is an unique theme for real estate agencies and brokers geared at converting clients and building credibility in the market. It is customizable and easy to use, and Home Quest is no exception. You can change colors, backgrounds and many more directly from the WordPress admin, in a matter of clicks. Home Quest comes with 4 pre made styles that can be switched at a press of a button directly from the WordPress admin: Yellow, Turquoise, Green and Orange. Real Estate WordPress theme has been designed and coded to work for real estate agents, small time brokers, real estate companies or builders as well as dealers who deal in plot, rent, sale of apartments, places, as well as other condos, pent houses, villas, flats and other types of residential and commercial properties. Grid view as well as list view listings have been given so that one can easily view the listings as per their choice of requirements. StyleRoom – House Renovation Responsive WordPress Theme comes with a huge set of additional pages, so, you can present your business in little things. Here you get a professional-looking About page, top-notch pages for showcasing your portfolio, services, and even more! Fee free to make your site look far more reliable by showing up clients’ reviews about your remodeling services and let people know the latest company news with regular blog updates. 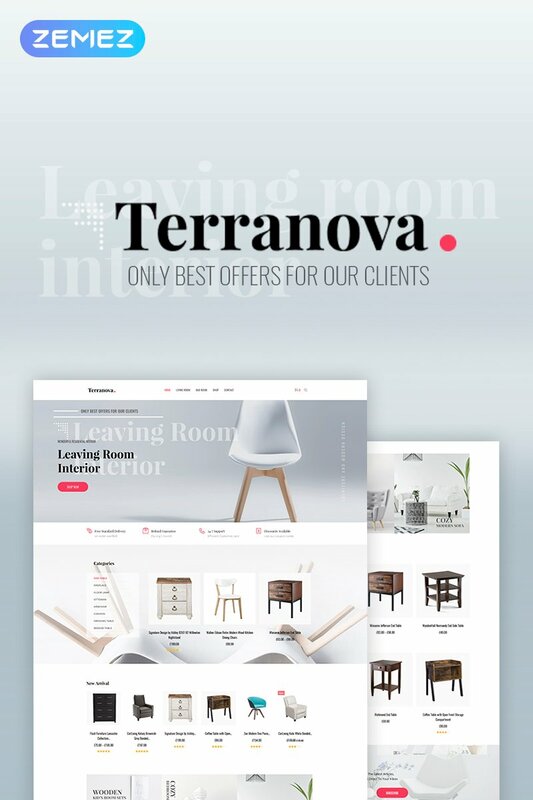 LT Villa – Free Responsive Modern Villa WordPress theme is designed especially for Green Construction/Unique Design websites. The theme appears as an artistic and elegant solutions for modern houses. One more strong emphasis of this theme is that it offer creative ideas and friendly-environmental decoration for house construction business. All the attractive design are specifically targeted to those who love construction in general. LT Villa WordPress theme supports fully responsive layouts to ensure your website looks great on any screen size, plus it comes with lots of really useful built-in features such as shortcodes, drag-drop layout content, Bootstrap CSS & Hybrid framework to help you easily customize the design and give your website that unique look. LT Travel – Free Responsive Hotel / Travel WordPress theme is that targets for hotel and travel website. This is gorgeous template used for hotel or travel websites to promote some travel destinations, provide detailed information about tours, hotels and tour guides. In addition, it allows you to find the best travel insurance solution. For technique of Travel WordPress theme, it builds from powerful framework with fully bootstrap supporting strong shortcodes, drag-drop layout content, Bootstrap CSS & Hybrid framework. LT Travel- smart and eye-catching theme comes with 100% responsive layout that smoothly adapts to different screens (support tablets and all mobile devices), clean and stylish. LT Hotel Booking – Free Hotel Booking WordPress theme is Responsive theme that targets for hotel booking websites. This is modern and luxurious WordPress theme to offer hotel booking options, provide detailed information about its services and prices, then collect registrations and payments in one centralized online location. It is packed with features that hotel website might need such as a services section, special event, promotional prices, etc. LT Hotel Booking supports fully responsive layouts to ensure your website looks great on any screen size of all mobile devices. LT Real Estate – Free Homes for Sales / Real Estate WordPress theme is a theme that targets for real estate websites. This template uses for homes for sale or estate websites for any purpose, specifically for realtor services, home staging, land brokerage, mortgaging, and others. LT Real Estate WordPress theme makes your sites display on all mobile devices with 100% responsive layout, clean and stylish. Besides, we offer support services like Bootstrap CSS, Hybrid framework and drag-drop layout content ready to help clients develop their websites. Moreover, it comes with unlimited color and a color picker in the admin panel. Now, grow your business with this real estate theme!